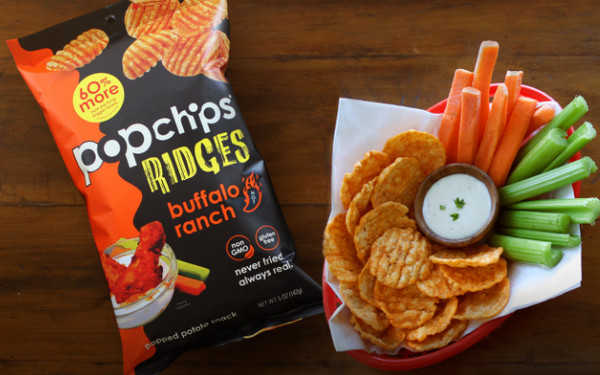 Popchips has appointed PK4 Media as the snack food's U.S. media agency following a formal review. Incumbent Palisades did not defend the account. PK4 Media is tasked with connecting the brand’s messaging across the consumer path to purchase, including desktop, mobile, tablet, connected TV, social media and Amazon. Working closely with UK-based creative agency 18 Feet and Rising, this partnership commences June 1 with the "Enjoy More" advertising campaign supporting Popchips brand’s classic popped potato chips and popped Ridges lines. The messaging will use vibrant colors to highlight Popchip's market positioning that its products are healthier than regular potato chips and related snack food options. The campaign will drive awareness for Popchips events taking place this summer in key target markets including; Denver, Detroit, Minneapolis, Nashville, and Seattle. Last year, Popchips and PK4 Media collaborated to launch the brand's new Nutter Puffs in Denver. The company didn’t spend much on measured media in the U.S. last year—Kantar Media estimates the total was just $83,000. A few years back the company was highly criticized for a campaign featuring Ashton Kutcher who portrayed an Indian-American man (complete with stereotypical fake Indian accent) “looking for love.” After the blowback that portion of the campaign was pulled.